Filmmaker Karan Johar made a big announcement about bringing two new faces to Bollywood in November 2017. After launching three newbies in 2012 with Alia Bhatt, Varun Dhawan and Sidharth Malhotra, the filmmaker announced that Sridevi– Boney Kapoor’s daughter Janhvi Kapoor is set for her Bollywood debut. She is set to star opposite Shahid Kapoor‘s youngest brother Ishaan Khatter in Dhadak, Hindi remake of Marathi blockbuster Sairat. 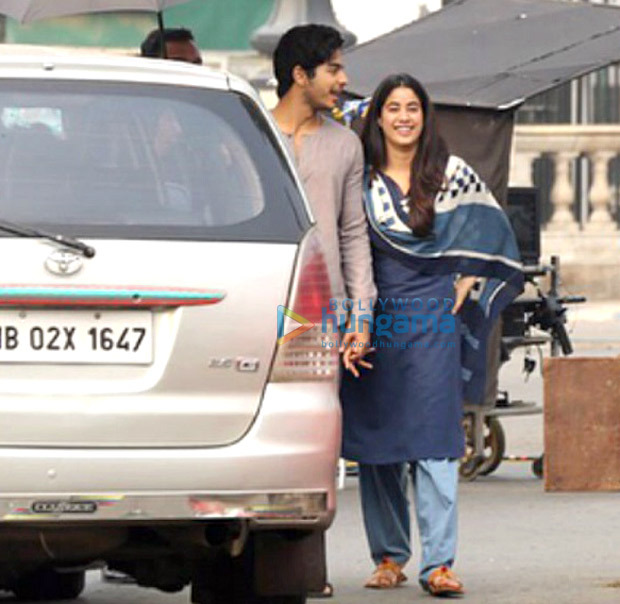 Janvhi Kapoor and Ishaan Khatter, who are really good friends, began shooting in Udaipur last year. Post the schedule, the second schedule began in Kolkata where the duo is having a blast. 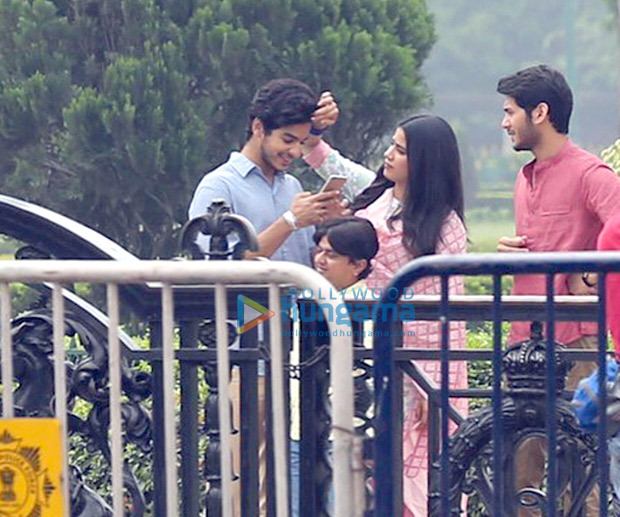 As Janhvi and Ishaan continue to shoot, they have grown closer and are known to be close friends. But, the latest pictures tell a different tale. 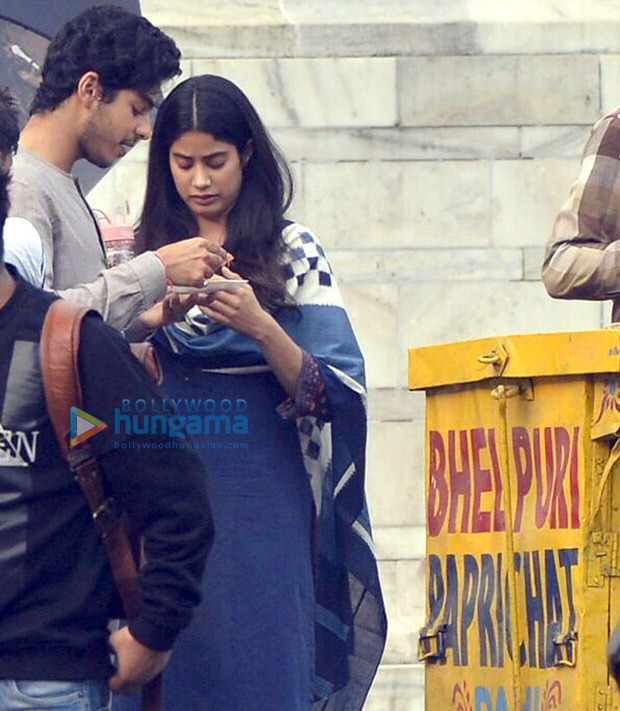 A couple of pictures of Janhvi and Ishaan Khatter are doing the rounds of social media where they are holding hands while enjoying a conversation. In another picture, Ishaan is seen sitting on Janhvi lap in between shots. A couple of pictures have surfaced where one can see them enjoying time together. As the pictures started doing the rounds of the Internet, the dating rumours began. 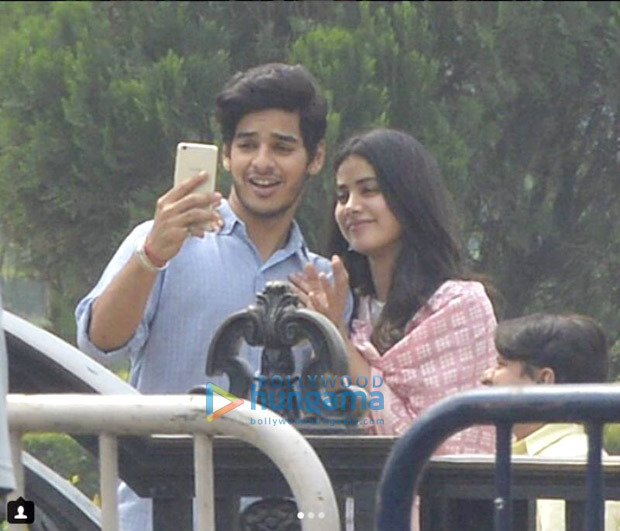 Ishaan Khatter was by his Dhadak co-star Jahnvi Kapoor’s side in the past month after she lost her mother Sridevi. They are often seen together grabbing a coffee or on movie outings. They could be just really good friends but one can hope for more. While Jahnvi Kapoor will be making her debut with Dhadak, Ishaan Khatter has already starred in Majid Majidi’s film Beyond The Clouds. Directed by Shashank Khaitan and co-produced by Zee Studios and Dharma Productions, Dhadak is set to release on July 6, 2018. Weekly Best Dressed: Priyanka Chopra, Deepika Padukone, Sonakshi Sinha, Athiya Shetty, Sidharth Malhotra and their sleek shenanigans!